Kathryn Kaye is continuously creating and recording music. It must be my concept of time but it feels like I just complete a review and then another release awaits my attention once again. That is all good for sure, it is probably the fact that time just escapes me so much faster than when I was a young man. With all that considered I need music to keep the energy of youth inside me and thus it is expressed outwardly to the people around me in a positive way. While listening, it becomes easy to wax philosophically once I get into the flow of some good instrumental music, especially with talented artist like Ms. Kaye. 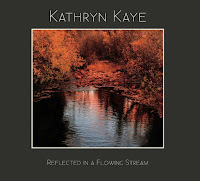 Kathryn is a few weeks away from releasing another masterful creation of piano tracks titled Reflected in a Flowing Stream. Once again we see a recording artist making the important connection to our surroundings, more specifically to nature. The sheer beauty of shimmering water gives us the reflections of life and our own image looking back at us. The river serves as the perfect mirror particularly one that looks so calm like on the cover of this CD. It looks like a natural shiny glass window that implores you to consider it as your own way of expressing your deepest thoughts and feelings. Like a sounding board that does not speak back but only observes, the water initiates and completes a process. It calls to your soul and inner spirit. I do not think you could possibly go wrong with such a group of talent assembled in one studio. Besides Kathryn’s talented fingers at work you get Will Ackerman (guitar) and Tom Eaton (bass, accordion) at the helm producing, engineering and recording and Tony Levin (bass), Jeff Oster (flugelhorn), Jill Haley (English Horn), Eugene Friesen (cello), Jeff Haynes (percussion) and Charlie Bisharat (violin) adding their talents to the mix. It is like an all-star cast that usually comes together at the Imaginary Road Studios. Most of the artists I work with record there and every time a new recording is released it is of the highest quality without exception. Reflected in a Flowing Stream is another one to add to the list. Kathryn’s piano is very much like a flowing stream. Her music reflects the listener’s personality and mood; it brings it to the surface encouraging a good look at a window to the truth. It is absorbed then bounces off you with positive vibrations and touches everyone within listening distance. Every track offers a different aspect of nature that we each recognize, enjoy and ultimately relate to in our own way. Deeply moving and expressive, the piano and every instrument that joins in makes each track a complete experience that can be enjoyed more than once. I would think each time you hear it you may find something different you did not notice before, perhaps a subtle nuance that either makes you feel happy, sad, melancholy or at peace with an internal calmness that can only be achieved by listening and letting the tones and atmospheres of the music take you to each special place the track titles suggests. 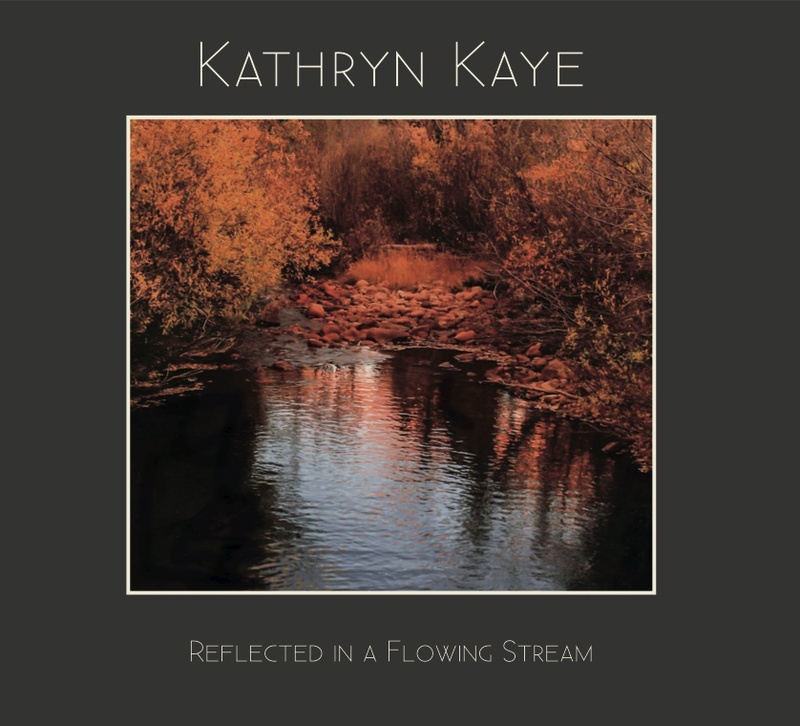 Kathryn, you have done it again; Reflected in a Flowing Stream is beauty and perfection all in one package topped off with a big red bow for the Holidays and a great way to start the new year.